As a key global player in forest conservation, the GEF has been at the forefront of efforts to protect the most important forests in the world from degradation. Photo: Gustavo Fradao/Shutterstock. The International Day of Forests, which is celebrated globally on March 21, is an opportunity to remember the critical importance of forests for human and planet health. Despite growing efforts to protect the forests, they continue to decline under the pressure of human population growth and competing needs for land. Over the past 25 years, the extent of the world’s forests has declined by about 3%. Business as usual isn’t enough and innovative approaches are both necessary and urgent to reverse this trend. As a key global player in forest conservation, the GEF has been at the forefront of efforts to protect the most important forests in the world from degradation. The GEF General Assembly convened on 27-28 June 2018 adopted a new strategy for the GEF's 7th funding cycle (2018-2022). This strategy includes new attention to the conservation and sustainable management of the major forest biomes on the planet: The Amazon, the Congo, the Drylands and globally important tropical forests threatened by the agriculture expansion, which is by far, the first driver of deforestation and forest degradation. The new GEF support to forests will be implemented through “Impact Programs”, an innovative approach seeking significant impact and results on the ground by the selection of the most effective projects. Where the forests are the most threatened or degraded, the ambition is to achieve a deep transformation of socioeconomic systems at scale, through a comprehensive, integrated, and inclusive approach on large landscapes. 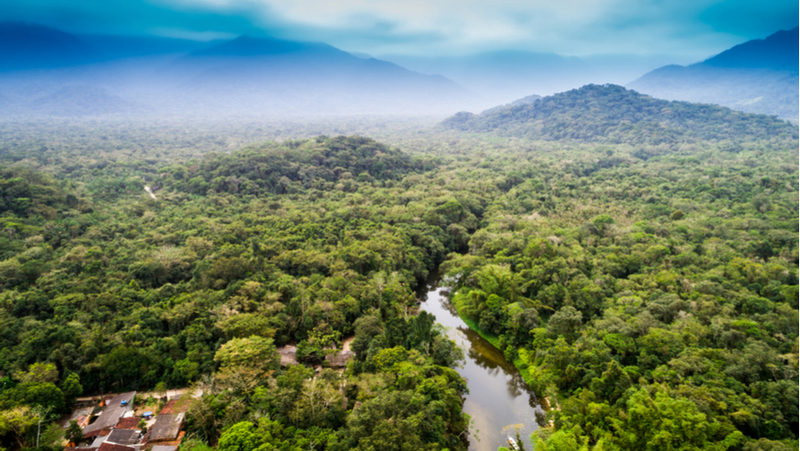 In total, the GEF is expected to make available at least $700 million in grants over the course of the next 4 years to support the conservation and the sustainable management of forests worldwide. One key pillar of the renewed GEF strategy is the Food Systems, Land Use and Restoration (FOLUR) Impact Program. This Program is targeting a transformational change of global food systems. Agriculture has a huge environmental foot print, accounting for approximately one quarter of global greenhouse emissions and is the dominant driver of tropical deforestation and its associated negative impacts on biodiversity and climate stability. In recent years, many major producers and buyers of agricultural commodities have made ambitious commitments to eliminate deforestation from their supply chains. Yet, it is now clear that meeting these commitments is a challenge and once met, many underlying and social challenges will remain. At the core of the GEF’s programmatic approach is the need for comprehensive land use planning, stakeholders’ inclusion in food value chains, aligning priorities for development needs while protecting the natural environment and associated ecosystem services. Such planning will ensure that countries proactively influence the evolution of land use toward sustainability - targeting production of staple foods for efficiency gains in the value chains, shifting production of commodities away from forests to avoid deforestation and biodiversity loss, and restoring degraded areas for ecosystem services or into productive use for crops and livestock. As the idea is to achieve impact at scale and avoid the dispersion of financial resources on fragmented projects, the other key pillar of the GEF strategy is the promotion of Sustainable Forest Management at large scale, focusing on the globally most important biomes for the conservation of the environment. This strategy is implemented through the Sustainable Forest Management Impact Program which focusses on the Amazon, the Congo Basin and the Drylands. The Amazon is of obvious importance for the global environment: more than 40% of the rainforest remaining on Earth is found in the Amazon and it is home to at least 10% of the world’s known species. As a globally important carbon sink, the Amazon also plays a critical role in climate regulation. Despite significant progresses to protect forests in Brazil, the Amazon remains threatened by transportation infrastructure (roads), extractive industries (mining, oil and gas), water infrastructure (dams, extraction, usage, waterways), and agricultural expansion driven primarily by commodity production. The new GEF-7 Program in the Amazon builds on over a decade of work in region to strengthen biodiversity conservation, reduce deforestation, and improve community livelihoods. It focuses on improving the management and financial sustainability of protected areas; strengthening sustainable forest management; reducing carbon emissions from deforestation; and incorporating biodiversity management principles (both conservation and sustainable use) into selected sectors that are drivers of deforestation through policies, sectoral agreements, and/or instruments that engage private sector actors. Together these aim to improve the overall connectivity of the Amazon ecosystem, thereby furthering the integrity of the local, regional, and global ecosystem services. Drylands are a vital part of the earth’s human and physical environments, encompassing grasslands, agricultural lands, forests and trees outside forests. Drylands harbor important global biodiversity, many of which is endemic, store significant amounts of carbon and have an important and often critical role in enabling people to secure a stable and adequate food supply. The goal of the Impact Program in Drylands is to avoid, reduce, and reverse further degradation and deforestation of landscapes ensuring sustainable management of agro-ecological systems and forests with a particular focus on important biomes and ecoregions. Private sector involvement will be important in the strategy to link smallholder producers and pastoralists to markets, introduce sustainable supply chains, and create stable revenues with dryland commodities such as cotton, wool, leather, fuelwood, charcoal, shea, gum Arabica. The Congo Basin forests is another global asset that is critical to the planet’s health, particularly for the climate and biodiversity. The levels of forest destruction and degradation rates are still low in the Congo Basin, but we are seeing upcoming threats we unfortunately know well in other regions of the globe. Global demand for food, water, energy, and other commodities is growing rapidly. Industries become global and are expanding further and further into locations that were once remote or unexplored, as the Congo Basin… In this context of increasing threat, GEF-7 is a potential turning point. With careful planning and adequate support from local and international partners, it is possible to save the large, intact forests, biodiversity hotspots, and forest dependent people’s way of life, and support the countries in the region to adopt more sustainable development paths. The Congo Program will focus on addressing the current drivers of forest degradation and anticipating the upcoming threats related to commodities development, agribusiness, and exploitation of natural resources. It will support conservation and sustainable management of forests including its global important biodiversity, as Great Apes and Forest elephants, leverage law enforcement and local community involvement to reduce poaching and trafficking and strengthen Indigenous People and Local communities’ land rights and tenure. One important central objective of the Congo Program will be to create the enabling environment to make sustainable land-use planning and local governance a reality. The program was announced this month in Nairobi, Kenya, during the gathering of the leaders from around Africa and the world for the United Nations Environment Assembly and One Planet Summit. “The Congo Basin is a really globally significant biome—we can’t lose it,” said GEF CEO Naoko Ishii, announcing the upcoming Congo Basin Sustainable Landscapes Program, a six-country initiative to address environment degradation in the basin. “There is absolutely no doubt about global commitment, and particularly the commitment of African leaders, to the preservation of these forests. I hope that we can address the fundamental drivers of environmental degradation with this impact program, that is really our dream,” Ishii added.